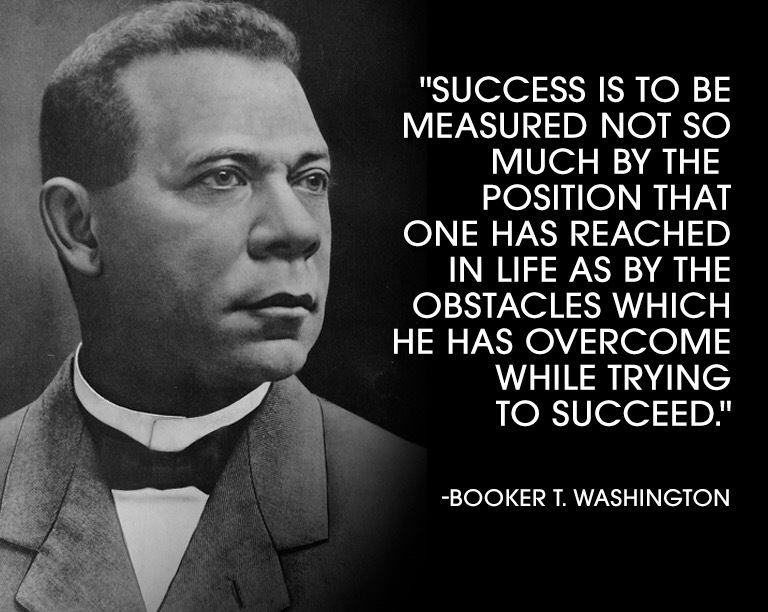 The 3rd and final quote in the 3 Day Quote Challenge is “Success is to be measured not so much by the position that one has reached in life as by the obstacles which he has overcome while trying to succeed” by Booker T. Washington. This quote speaks to me on so many levels. How do we measure success? Do we judge whether someone is successful by how much wealth they have acquired? Is it by how many university degrees they have? Whether they are in the in-crowd? Whether they live in an area where the ‘successful’ people live? This measure of success is flawed because someone could have all the above and still be unsuccessful. Instead, I measure success by the journey someone has travelled. How far they have come in life. A successful person, to me, is someone who has overcome obstacles because they had the grit to continue and the desire to succeed combined with the self-belief required to persevere. They had a sense of determination that made them rise above their circumstances and achieve their goals. Overcoming obstacles against the odds! Making a positive difference to your own life and the lives of others! Now that’s success to me!